Balki‘s upcoming film has been titled ‘Ki and Ka’ and stars actors Arjun Kapoor and Kareena Kapoor Khan. This is the first time the actors have been paired opposite each other. The two actors just filmed a song for their upcoming movie and we have a post shoot picture for you. 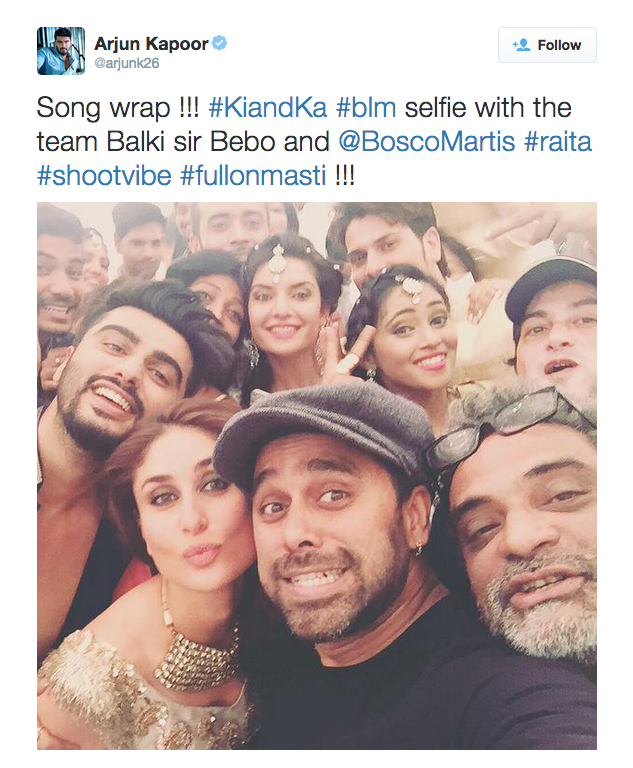 The photo features director R Balki, choreographer Bosco Martis, and lead actors Kareena and Arjun. It looks like we will be getting a peppy dancing track soon as Bosco is well known for his amazing dance numbers. 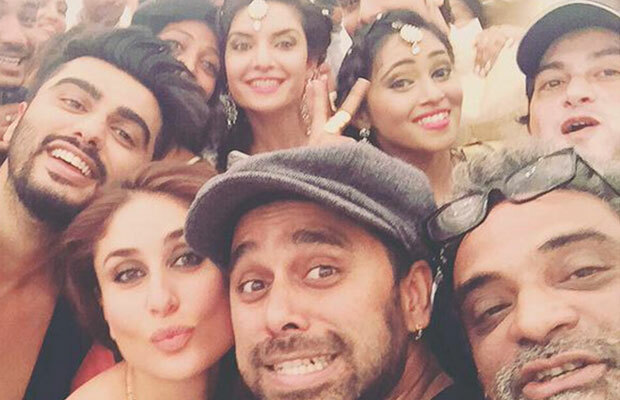 Also Read: Kareena Kapoor Khan Refuses To Get Intimate With Arjun Kapoor In Ki And Ka? The upcoming romantic film is about two people with contrasting ideologies. While Arjun essays a progressive house husband, who lovingly supports his wife’s ambitions, Kareena portrays a super ambitious career-oriented woman in the movie. 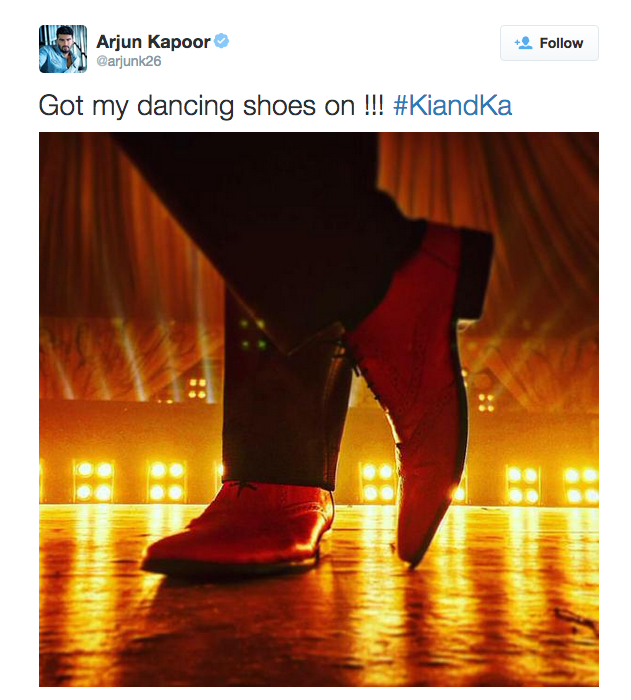 Arjun Kapoor recently shot scenes in Delhi. The cast is shooting the last schedule and the filming will probably be completed by the end of the year. “Ki and Ka” will also see a special appearance by Amitabh Bachchan, with whom Balki has worked in his past movies Cheeni Kum, Paa and Shamitabh. Jaya Bachchan will be making a guest appearance too in the movie. The iconic couple will return together onscreen after 14 years. They were last seen together in Dharma Production’s Kabhi Khushi Kabhi Gham. The film is slated to release next year in August. Previous articleJohnny Depp Reveals Why He Never Wants To Win An Oscar! Next articleWatch: What Made Sonakshi Sinha Cry!